If you’ve been following along, you know I was meeting my in-laws and nieces at Disney World. They actually arrived two days after we got there. My post title is a nod to the “Meet the Fockers” movie. Remember that? My in-laws are nothing like the Fockers, but I thought it was funny! The in-laws weren’t arriving until late afternoon, so the kids and I spent the morning at the Magic Kingdom. I had been wanting to try the new Be Our Guest restaurant, which I wrote all about in this post. After a delicious and entertaining lunch, we explored all of the new Fantasyland stuff. I love Beauty and the Beast, so I am thrilled they added this stuff! The teenagers were getting restless because I told them we were heading back to the hotel right after lunch. One of the great things about traveling with older kids is a little freedom. I told them they could go back to the hotel, but I wanted to stay and play. So that’s what we did! This gave me lots of non-guilty time to just do whatever I wanted. It was great! After the show, I wandered around Main Street. I decided that if I worked at Disney, selling these balloons would be a great job for me. But since I wasn’t working, I decided to watch a little parade. It was actually the Move it, Shake it, Celebrate it Street party. I filmed lots of it in the video below. Next up…shopping! I love to shop alone. Anyone else? I can take as long as I want and not worry that others are bored or want to move on to the next store. I couldn’t resist the Grumpy mug for my morning coffee. I am not a morning person, so it seemed appropriate for me. I also collect Disney pins, so I decided to purchase one for every Disney Resort I have ever stayed in. At this point, my Mother-in-law texted me that they had made in it, so I had one last look back and headed off to the Beach Club. The second half of our day was spent at Epcot. I had made reservations for all seven of us at The Rose and Crown in England. Check out that post here. How cute are they!? I had such a great time traveling with them. 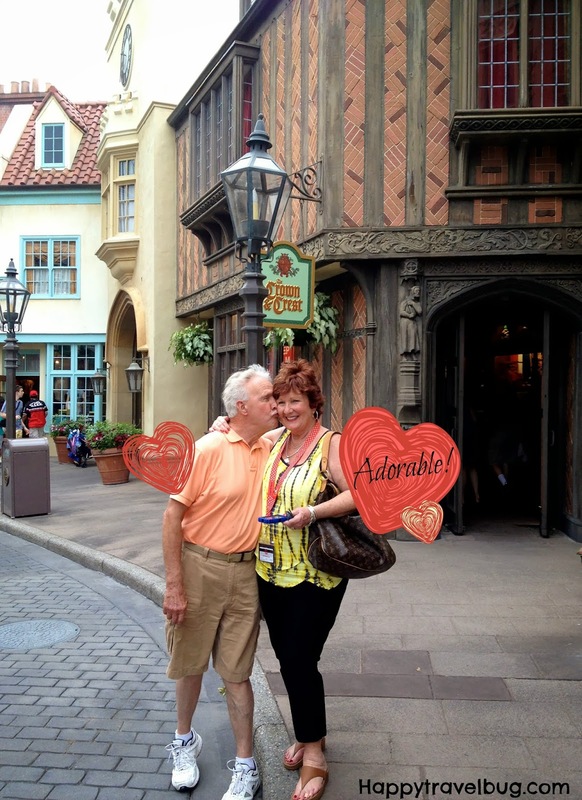 They recently celebrated a big anniversary and look at how in love they are…great example to their children. After eating at the Rose and Crown, we walked over to France for some more exploring. 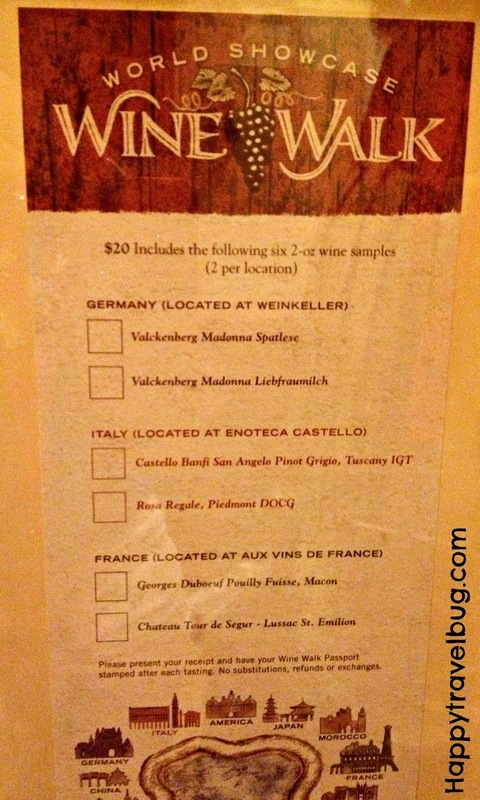 There is a “Round the World” wine tasting that I would love to do one day with my husband. You have two sample size glasses in Germany, Italy and France. So fun! Had I not been so full from dinner, I would have had some of the amazing french desserts in the cafe. Oh my goodness! I was salivating! I only got this picture of the salads, but I show most of the desserts in the video below. 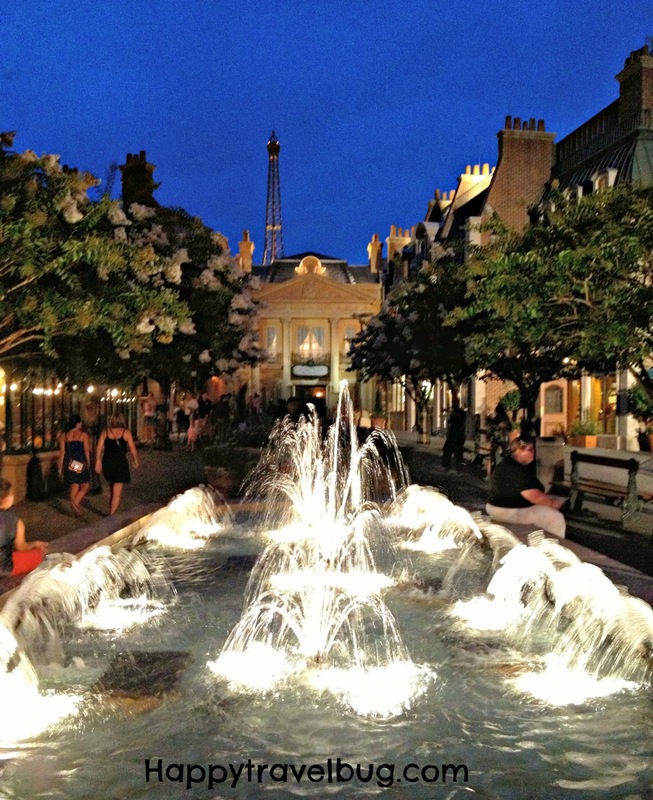 As night fell, we finished our exploring of France and found a seat by the lake that the World Showcase surrounds. Epcot has a wonderful nightly show in the middle of the lake called Illuminations. I highly recommend you see it during your time there. If you have already seen it, then I recommend you go ride Soarin or Test Track during the show. The lines might be a little shorter then. What a wonderful day we had: starting at the Magic Kingdom and ending with up with family at Epcot. The kids and I were happy they had arrived. We don’t get to see them very often and were looking forward to a great Disney family vacation. I ended up making a video of our third day at Disney. It has a lot of things that I didn’t get in the pictures, so check it out. Wow how colorful, looks like it was a fun and action packed day for you at Disney. Thanks for linking up today for Travel Photo Mondays, appreciate it! Loved following along on your day at Disney. Some Prince Charming costumes from my Etsy shop for little boys that have been there too. They got a kick out of having their picture taken with the adult prince. 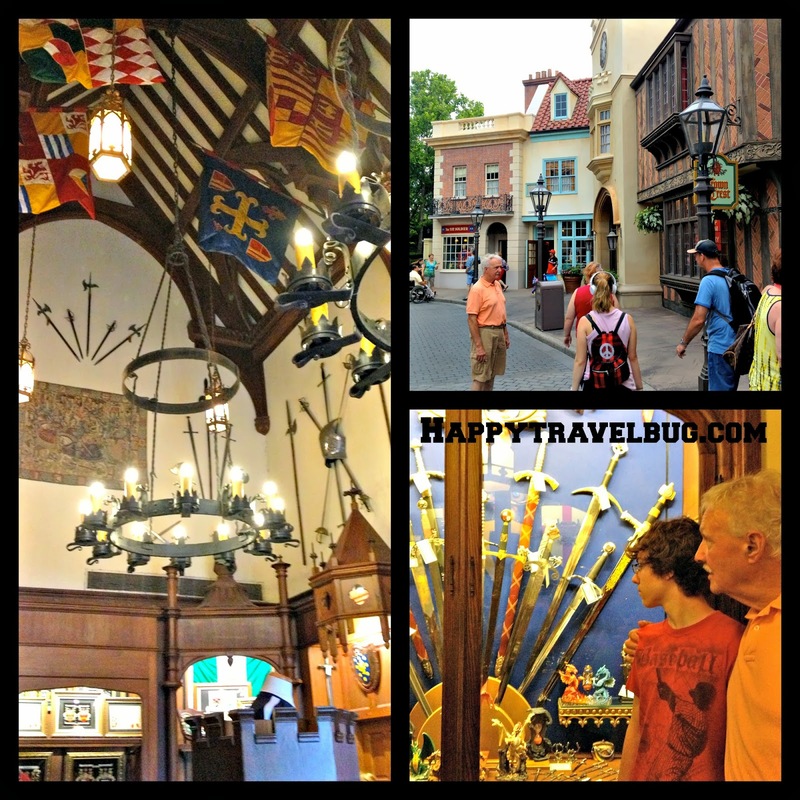 I enjoy Epcot and our favorite restaurant is also Rose & Crown. Thanks for taking me back through your pictures. I enjoyed meeting your in-laws. Hubby and I were just talking about heading to WDW in January and inviting his or my parents along. I would love to have some alone time at Disney sans kids just so I could wander around and browse at my leisure. Your trip seems like fun! Coming to you today from the Travel Photo Discovery linkup.